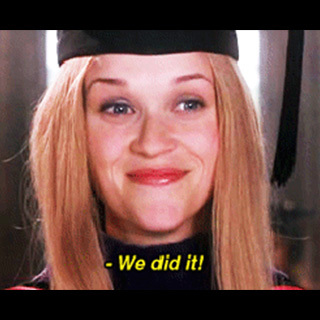 Dear 2nd Year Grads: Congrats, You Did It! Congratulations, you did it – you have completed your master’s degree! In the upcoming weekends, you will be putting on your caps and gowns for the third time and adding the master’s hood. All of your hard work the past few semesters is coming to end with receiving that new diploma. Congratulations on this exciting accomplishment! With graduation season in full swing take a moment to reflect, and truly reflect, on all that you have accomplished to get to this point. You have juggled coursework, assistantship responsibilities, practicum hours, supervisor commitments and a few emotions along the way. Take a moment to pause and smile, this is a big moment. Remember when you graduated high school and people would tell you enjoy college – it’ll be over in an instant. Well, graduate school was just a heightened and faster version, but did you take the time to enjoy that quick instant? Right now you might be making a final checklist like I did last year – last assignments, last meetings, last 1:1s and saying goodbye. However, take a moment to let this sink in. In a few weeks, you and your cohort will be spreading out across the country to move into your next role, as professionals. 2nd year grads, it’s time to celebrate you – you did it! Things to think about before you accept a job! Finals, Closing, and Commencement, Oh My!